A couple years ago, my wife and I defeated a wasp nest. A year after buying our house, we discovered another wasp nest up under the attic vents. They can’t get into the attic itself, and they are pretty far from the doors, so I let them live. Anna was stung a few weeks ago, but it seems like an isolated incident. The wasps are on probation. Today we had lunch outside. Afterwards my son Teddy decided he wanted me to take him up into the tree fort. While maneuvering the ladder into position, I bumped the old birdhouse hanging nearby. It began to hum. Quickly changing plans, I put down the ladder, picked up Teddy, and retreated to a safe distance. 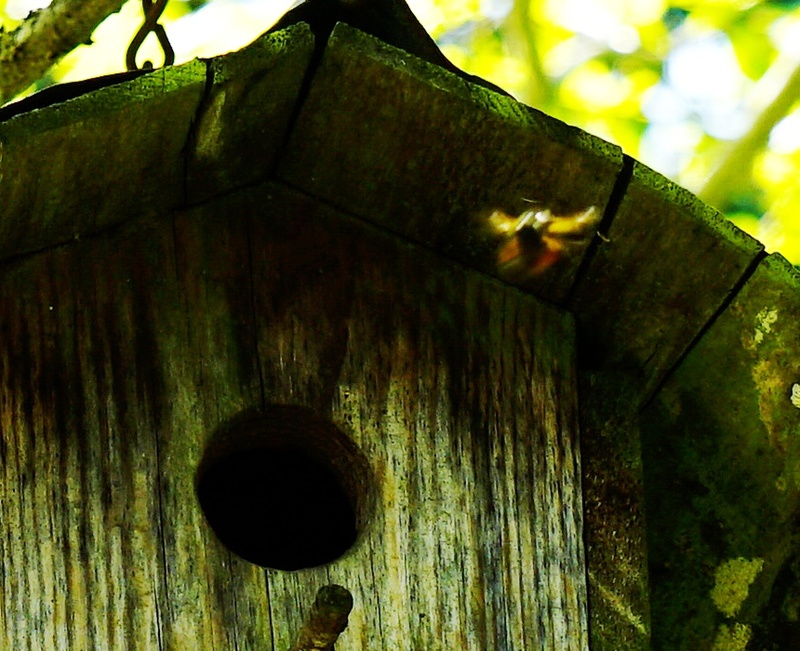 Several insects began flying around the birdhouse (or perhaps it should be termed a bughouse?) but I couldn’t identify them. A few pictures later, it seems that we have a new bee hive in our chestnut tree. 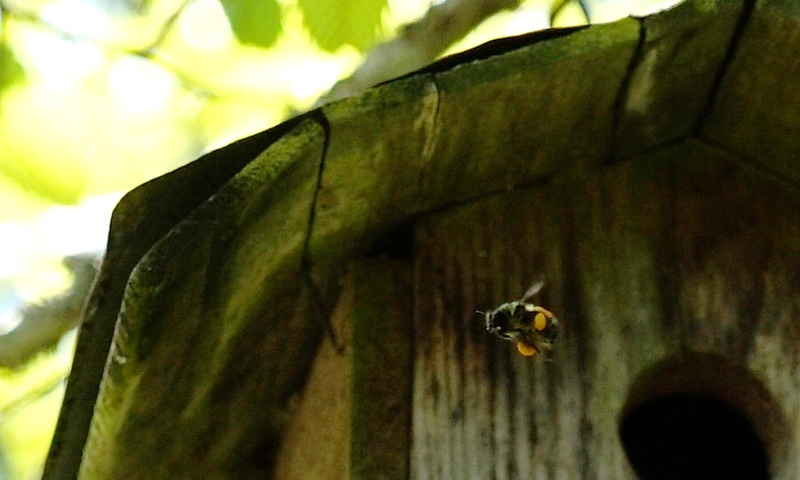 So, that raises the question, why are the bees welcome, and the hornets shunned? Is it because bees are primary pollinators? Is it because hornets can keep stinging? 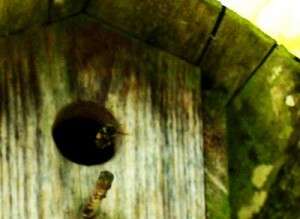 Whatever the case, we’ll have to see if we can get some honey soon. Good thing I’ve got a gas mask and full body isolation suit.